Humanity has died out, leaving their twisted biological creations as the sole inheritors of the earth. 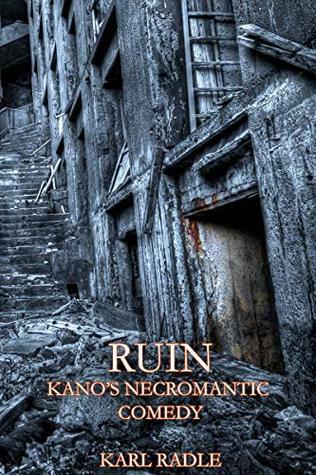 Plagued by visions of her past, Kano wanders amid the ruins of the old world, where violence has become a way of life. Caught up in the machinations of necromancers, the only beings capable of creating new life, she stumbles upon “children” born from one of their insane plans. The meeting revives emotions she hasn’t felt in a long time. Emotions which echo her past self. The world we know is gone, destroyed by necromancers. Now you have ghouls and golems created by artificial souls. Kano is something more than just a simple Ghoul, she has some special equipment and abilities but has memory problems. But she stays with Nove, a beastial ghoul, even though it seems she has no feeling for her, Kano would rather spend her time high than deal with reality. But when she wakes up naked and robbed, she goes on the rampage to find out who robbed her. This leads to a group controlled by a necromancer that she decides she is going to kill. There she gets a collection of small, childlike ghouls and takes a liking to one of them. But she realizes that something is wrong with her and goes looking for help. I will be the first to admit that after reading the blurb of this book that this is not what I expected. Kano has memory issues so I can see some of her behavior but she is just a jerk. Mind you she does get better but just a little. I was kind of lost by this world and had a hard time sticking with the story. This is not a bad read. There is potential for a great story and I could see some people liking it a lot more than me. Unfortunately it just was not for me. 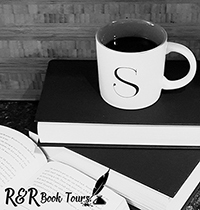 I would like to thank Reading Addiction Virtual Book Tours for the opportunity to share this book.